Hyderabad is a first class destination for shoppers as the city offers a lot of shopping options for the locals and travellers. 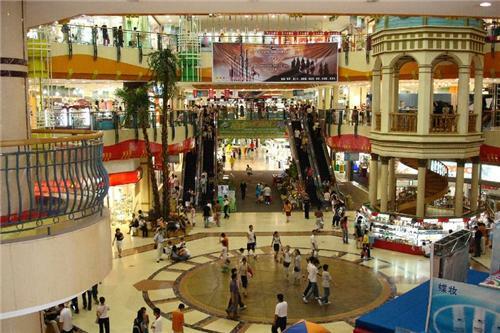 The city is the home of numerous giant shopping malls comprising a carefully landscaped complex of stores representing leading merchandisers, food courts with various restaurants and convenient multi-level parking lot. Shopping malls in Hyderabad are spacious, equipped with essential and modern facilities like escalators, lavatories, fire escape, elevators, floor information kiosks, centralized AC, generator backup, security and many other facilities. Altogether, shopping malls in Hyderabad are a perfect example of a modernistic version of the traditional market. Just like the malls in the other cities across the country, the shopping malls in Hyderabad houses stores categorized by apparel, travel and living, mobile phones, music & entertainment, personal accessories, books, arts and crafts, home furnishing, computers and electronics, cosmetics, entertainment, jewelry, food and drinks, shoes, toys, watches, game zones, kids play centers and many other businesses and merchandises.